Thank you to everyone who participated in the NDIA Space Division Space Symposium Breakfast! It’s clear that space is now a full-time concern. The National Space Defense Center is now a 24/7 operation. This year’s National Defense Authorization Act calls for a second look at military space management. Researchers seek private-sector proposals on innovative space technologies from launch to in-orbit operation. 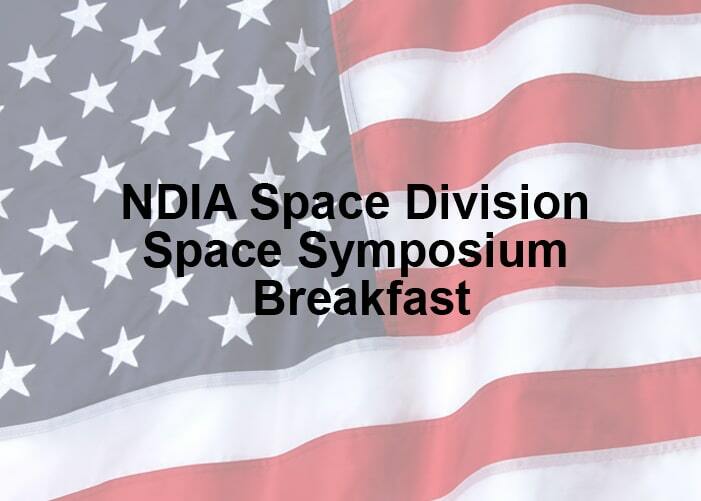 Be part of the conversation at the annual NDIA Space Division Breakfast, held in conjunction with the Space Symposium at The Broadmoor. Join guest speaker Lt. Gen. David Thompson, incoming vice commander for the Air Force Space Command, as he discusses his plans and how he sees the role of space.